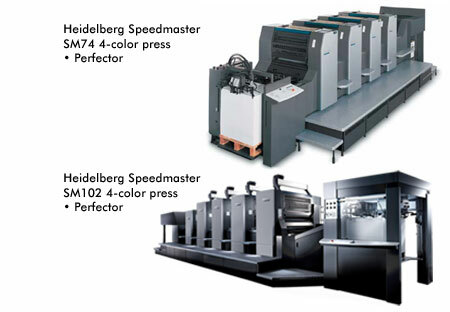 Our automated state of the art Heidelberg Speedmaster presses enable us to provide high quality printing at an affordable price for long and short run printing. 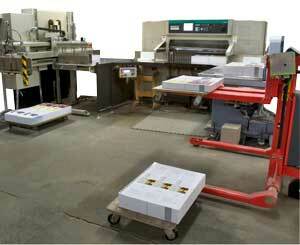 We provide a full service bindery to meet all of your needs; whether complex folding jobs, booklets, or brochures. Our modern equipment coupled with years of experience will produce your project accurately and on time. Our programmable Itoh automated cutting system makes clean, accurate, repeatable cuts for fast turn time. With our MBO T-49 folder, B-26 folder and B-325 Perfection folder, we have the ability to fold multiple forms simultaneously with fast turn around, allowing us to complete your job quickly and efficiently. 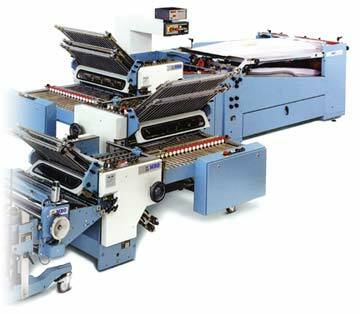 Our eight pocket Mueller-Martini saddle stitcher with three-knife trimmer gives us the ability to produce high-quality stitched books from 8 to 116 pages in one pass. We can also handle your perfect bound projects with ease. We can fulfill all of your mailing needs in house and take the worry out of mailing. Using PostalSoft software to accurately pre-sort and optimize your mailing list, we help you get the best postage rate for your job. Using the optimized mailing list, our automated,high-speed inkjet mailing system with inline tabber quickly addresses the pieces in your job.